Today I met my friend Jessie and her precious baby boy Levi for lunch at The Roasting Company. This wasn’t the first time I’ve eaten at the casual restaurant whose menu focuses on roasted chicken. But it was the first time I have visited since starting my blog four years ago. It’s been a while. 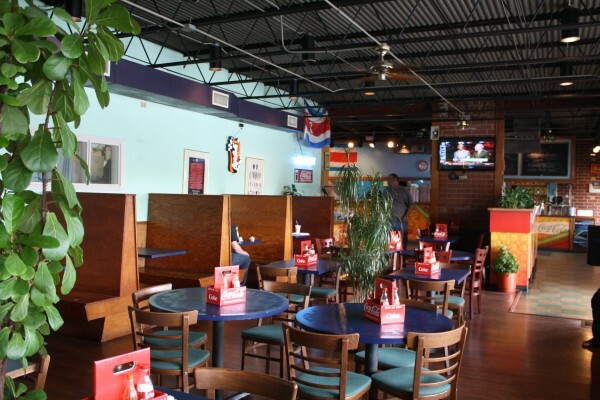 The Roasting Company is not a Southern restaurant, but like a Southern restaurant, they have a lot of “vegetables” (i.e. sides). In case you didn’t know, at a real Southern Restaurant, baked beans are a vegetable. 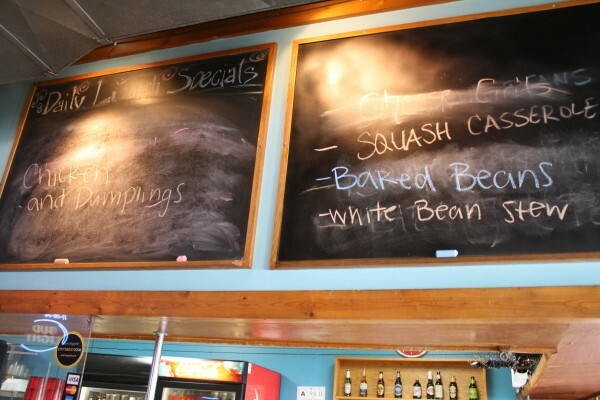 They have 16 “Fresh Veggies” listed on their menu, but they also have a few special daily sides written on the board over the register where you order your meal. The Roasting Company also has a daily meal special. On Thursdays, their special is chicken n’ dumplings. Usually I’m a HUGE chicken n’ dumpling fan, but with the warm weather I just wasn’t feeling it. 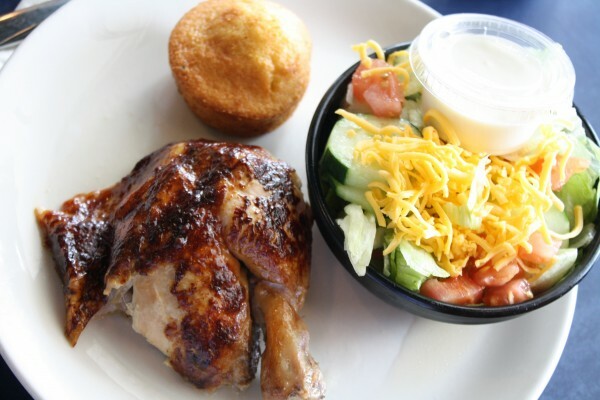 Instead, I went with 1/4 of the dark meat chicken with the house salad as my side, plus a cornbread muffin. The cornbread muffins have little bits of jalapeño for a kick. They’re slightly sweet, which is the way I prefer my cornbread, even though that’s not the traditional southern way of making cornbread. 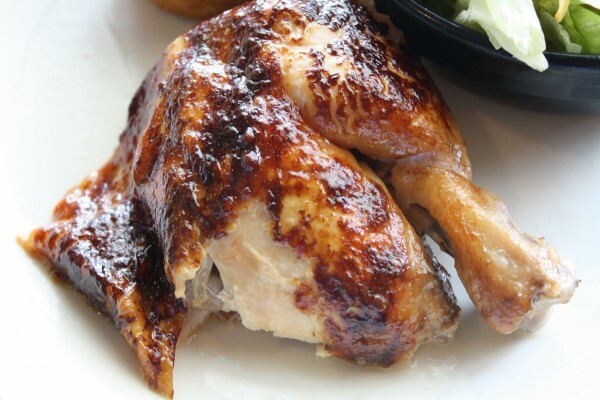 I’m on the fence about this — when you order 1/4 chicken, you either get dark meat or white meat. You can’t get both unless you order a 1/2 chicken. Dark meat is my favorite so that’s what I went for, but sometimes I want some white meat too. Regardless, it was delicious. Brad always thinks that it’s funny that I eat every edible piece of bone-in chicken. When I’m done, all that’s left is the bone. No cartilage, not skin. Nothing. It was the same with this chicken. It was juicy and delicious and the skin was perfect. I enjoyed every bite. My entire meal, plus a drink, was only $7.79, which I think is a great deal. I don’t abide by this rule, but somewhere deep inside, I feel that lunch should never cost more than $9.99. 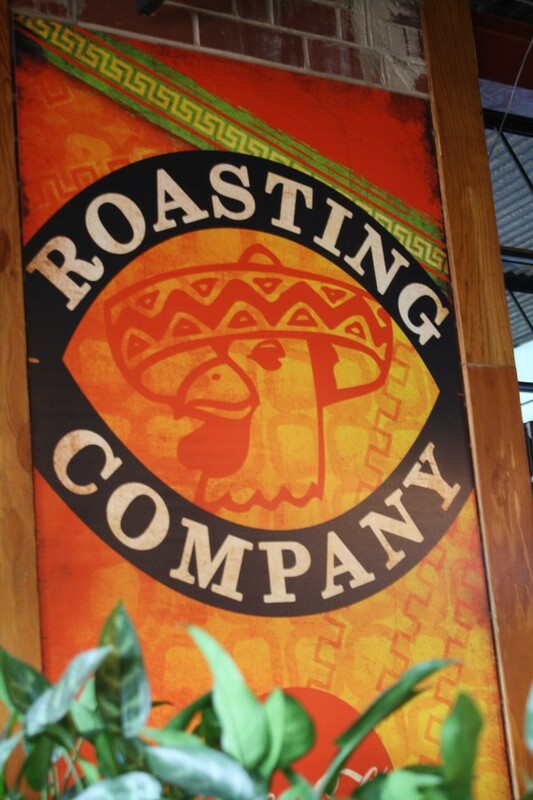 The Roasting Company is a great casual place for lunch or dinner, especially if you love roasted chicken as much as I do. But they also have several vegetarian options, including a vegetable plate which you can make up yourself by choosing 3-4 of their numerous sides. I won’t wait four more years before visiting The Roasting Company again. I had a great time visiting. I wish I had known about their cornbread. That is my favorite way to eat it, sweet with a little jalapeño. Yum! You eat chicken just like your Dad, did you ask April if she wanted your bones? Ha! Dad would have eaten the bones too and April is a weirdo.